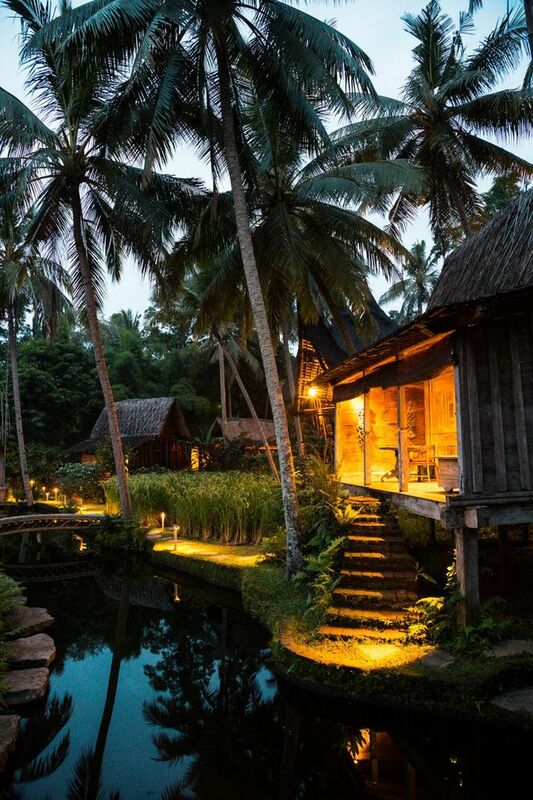 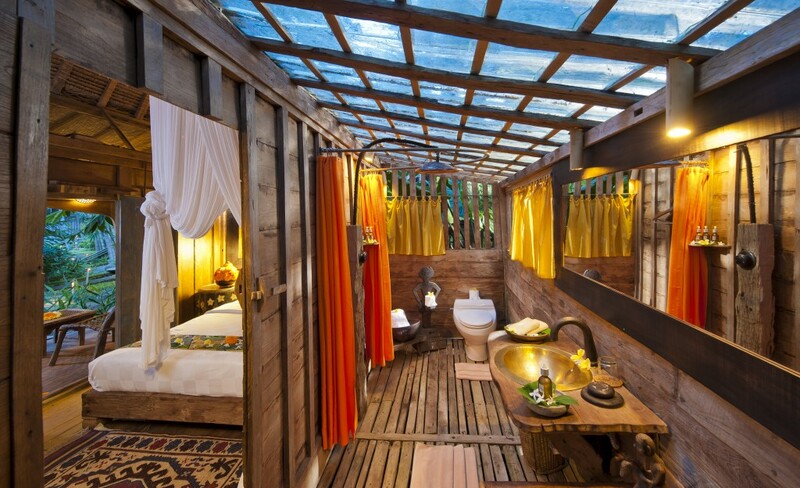 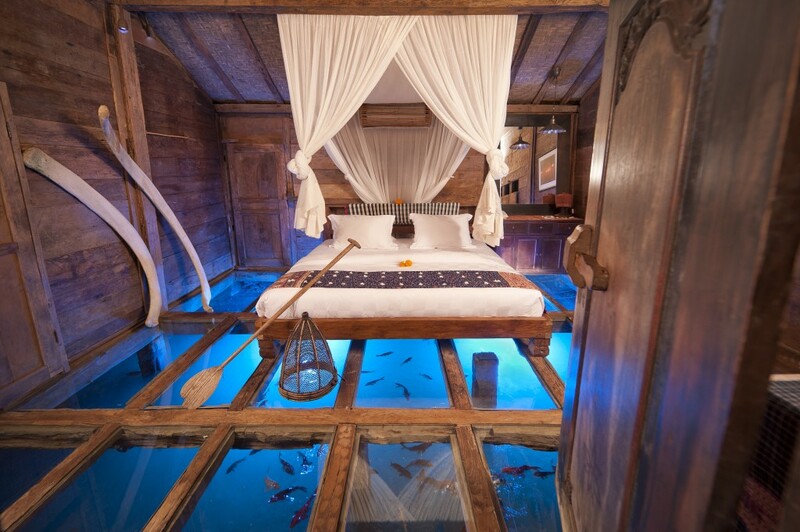 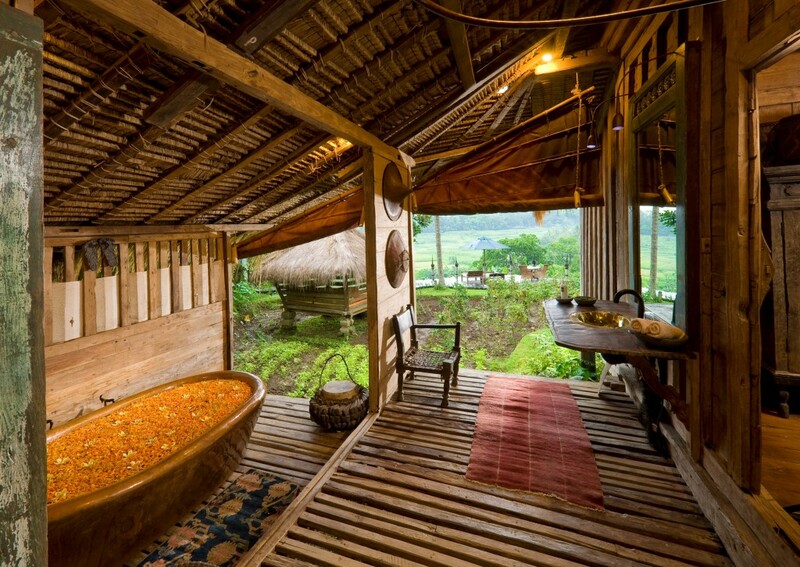 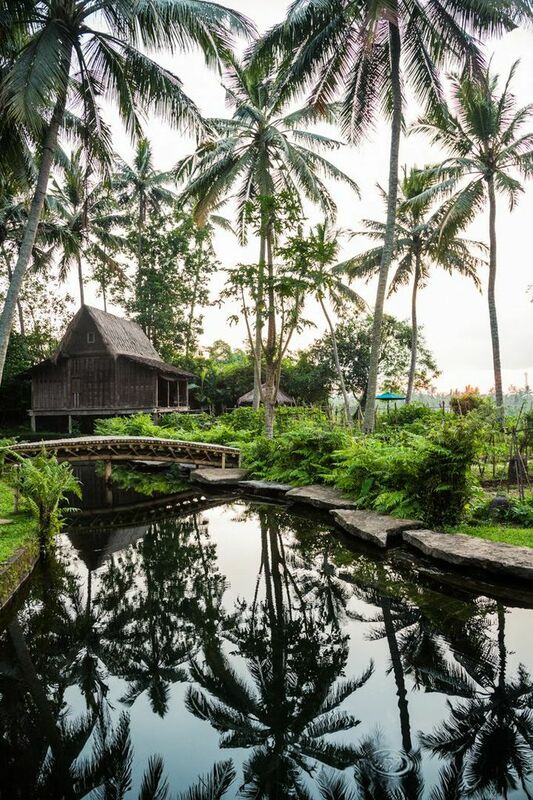 Bambu Indah Resort, Bali. 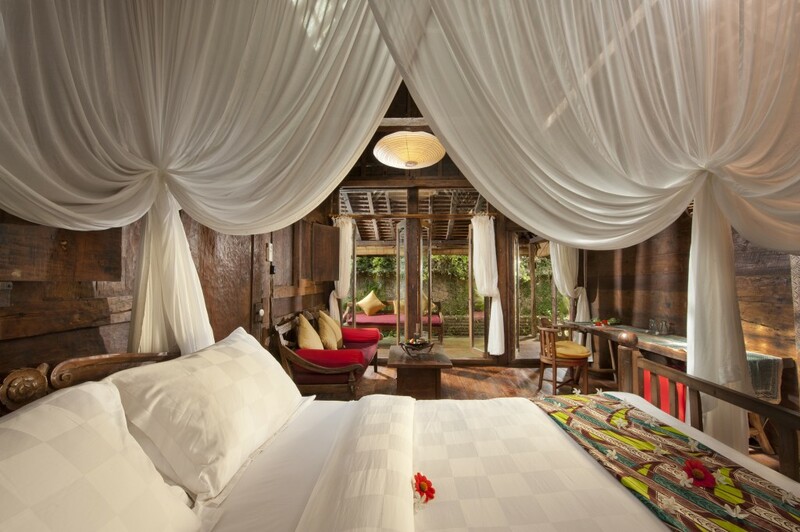 The price per night starts at $ 225 and includes breakfast, afternoon tea, cleaning service, air conditioning and wireless Internet access. 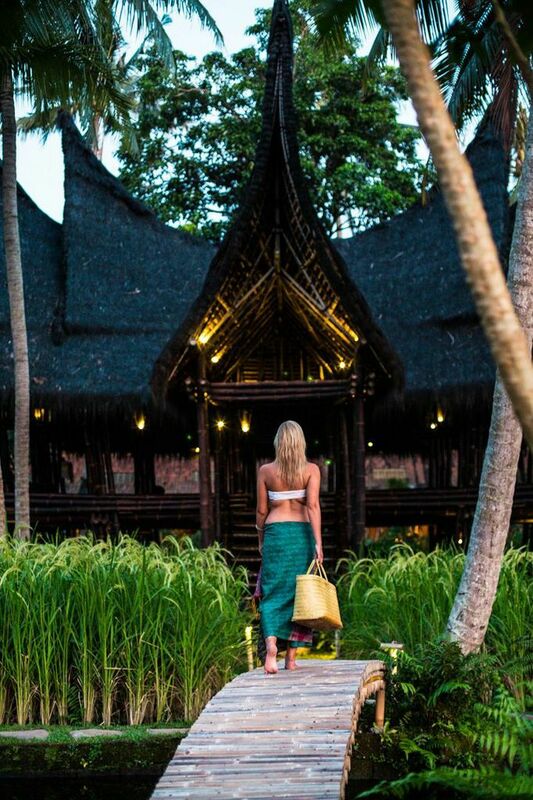 In addition, all guests receive access to the natural swimming pool and a wide range of spa services. 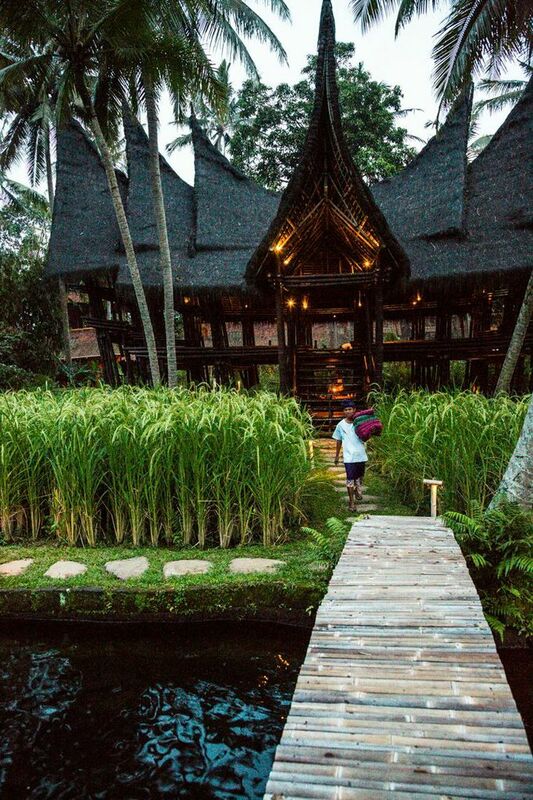 The concierge service and the 24-hour reception ensures that no wish remains unfulfilled. 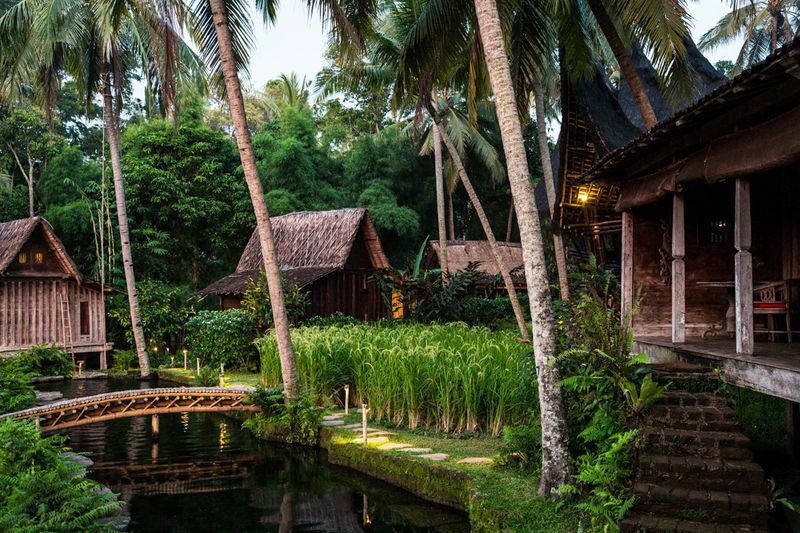 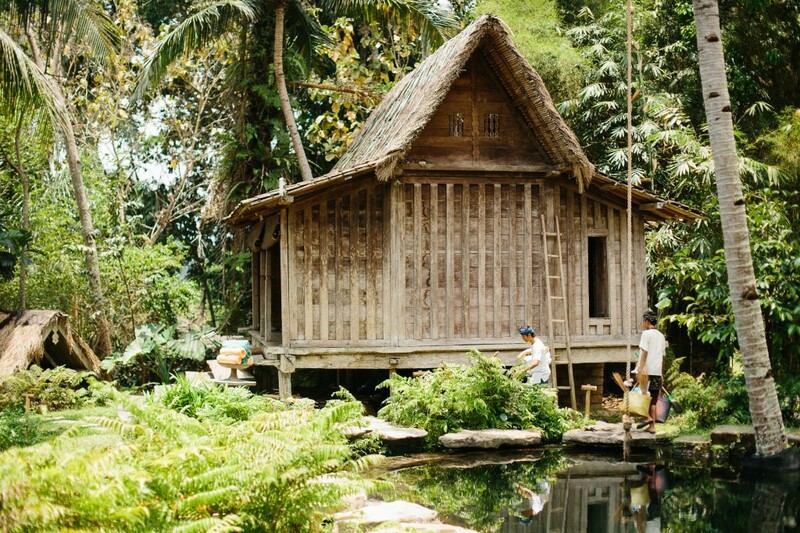 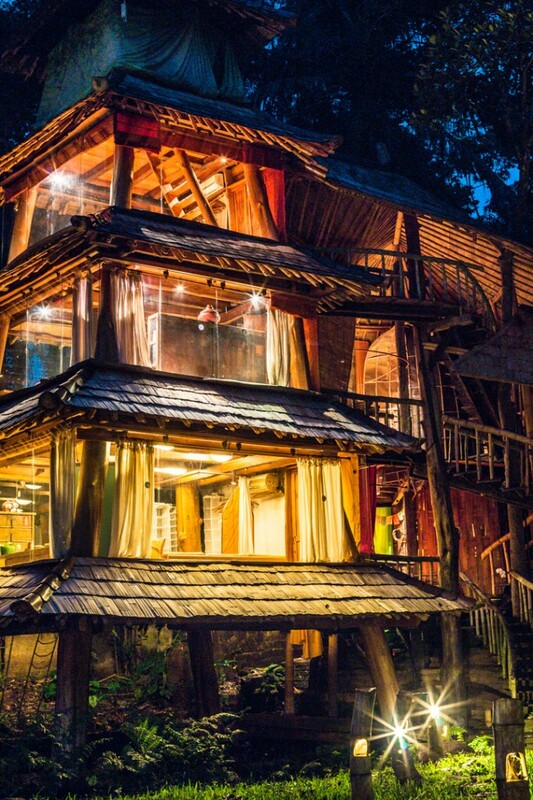 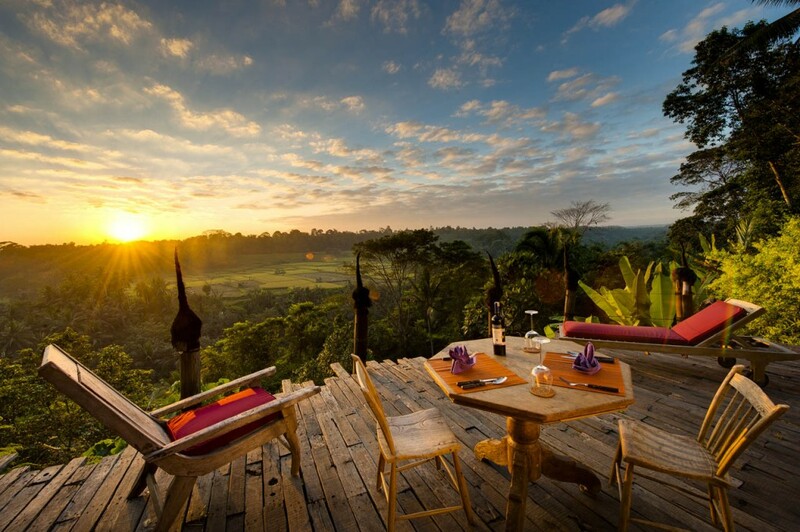 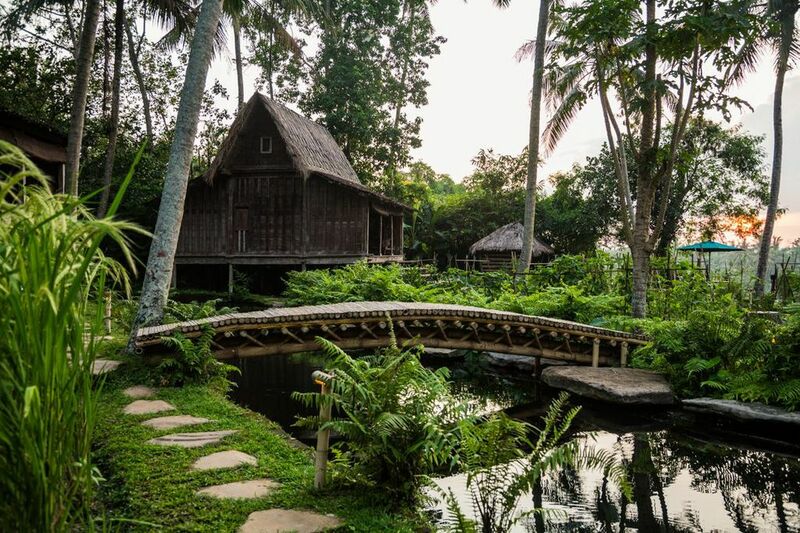 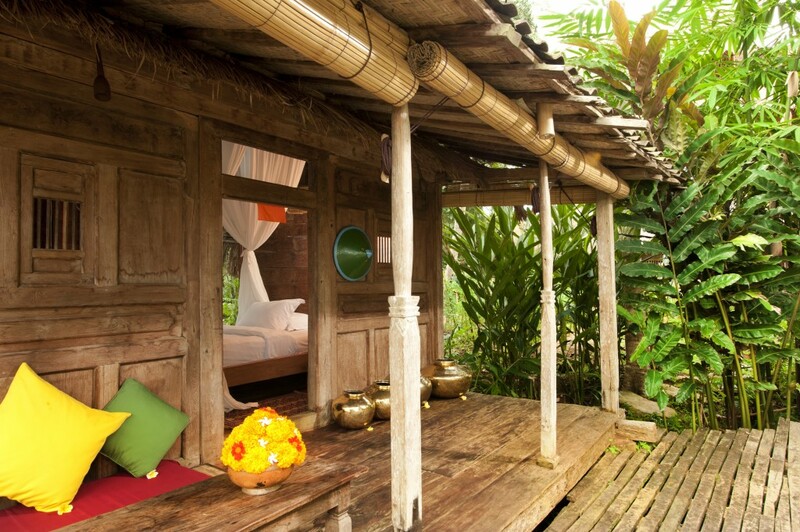 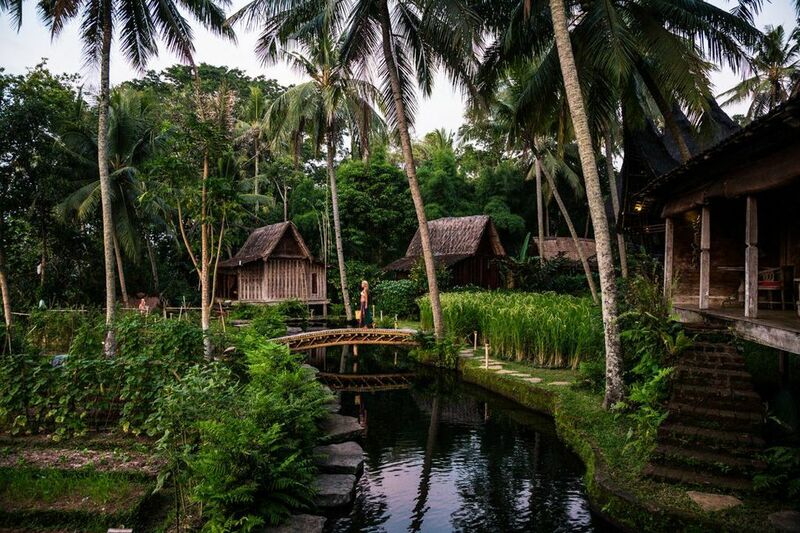 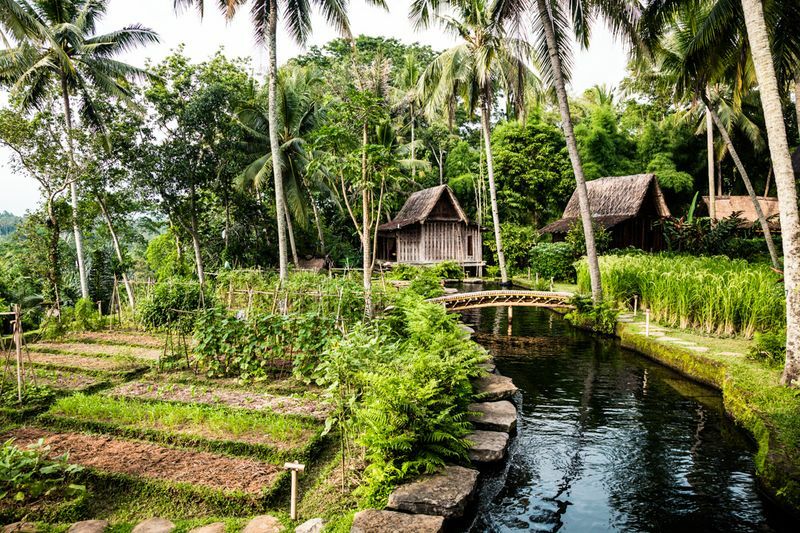 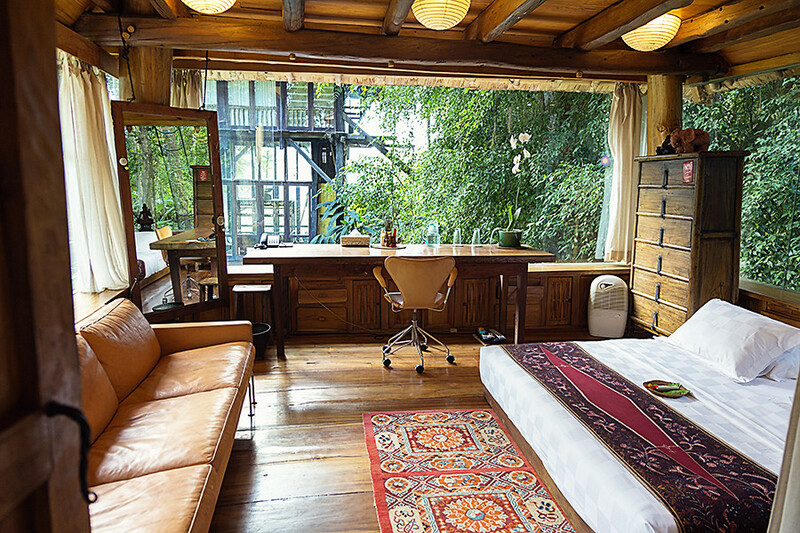 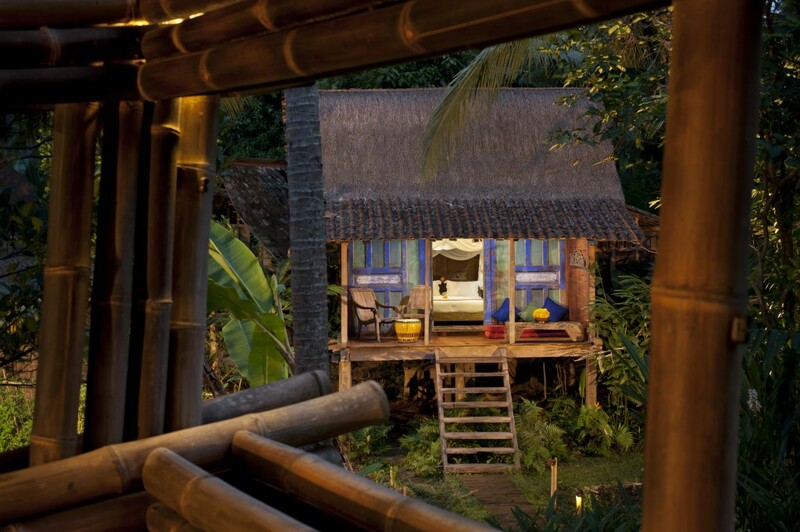 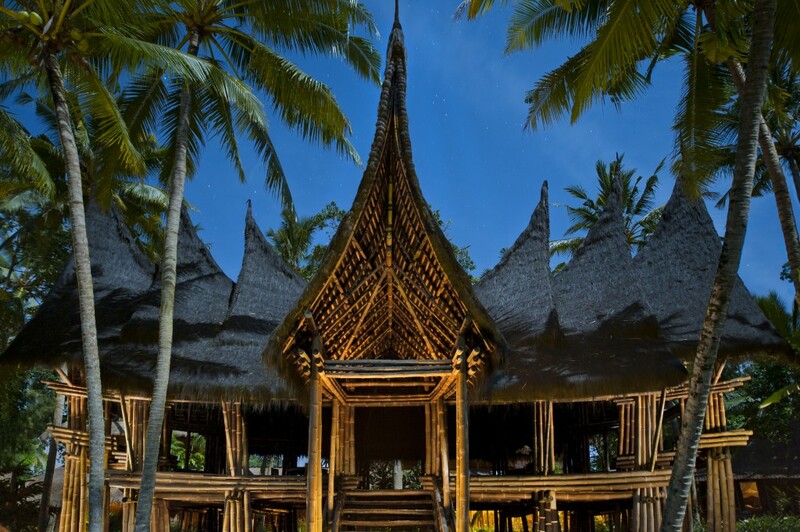 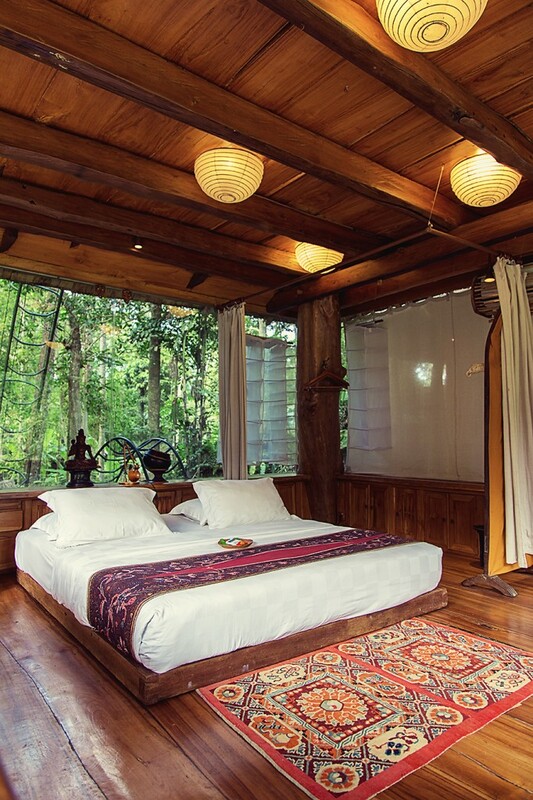 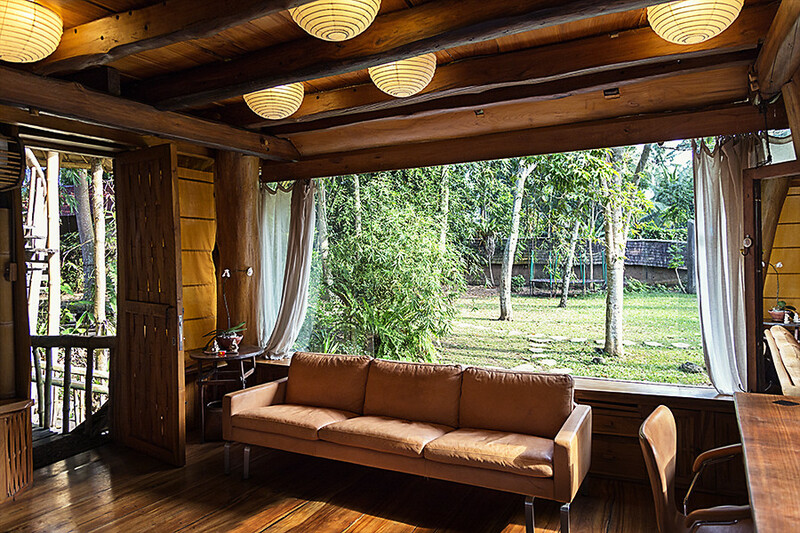 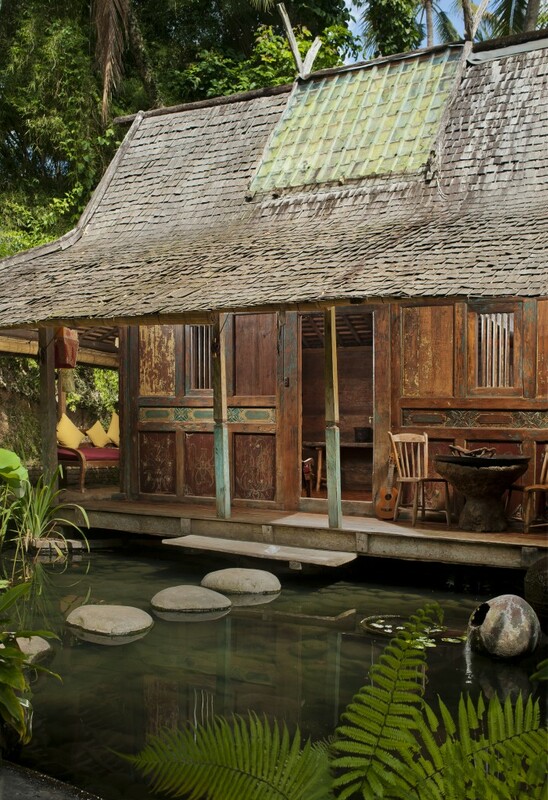 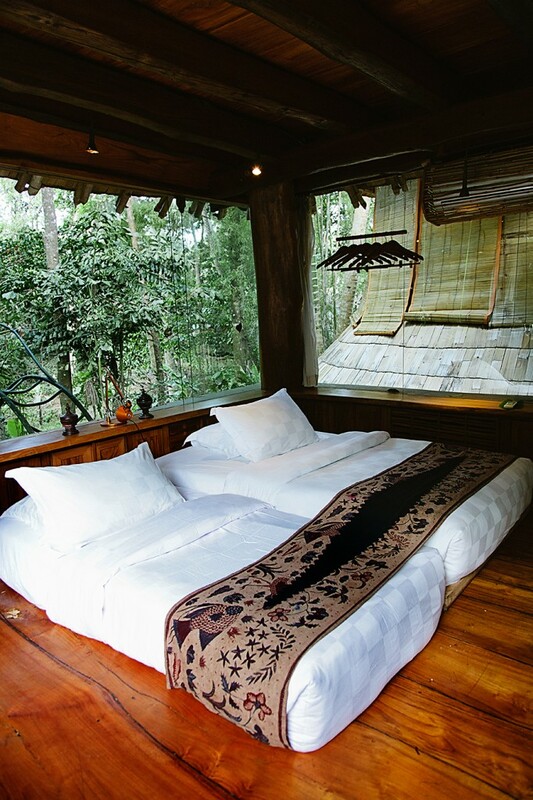 Moveover, there are no TVs or Radios available at the Indah Hotel Bambu Hotel in order to connect their guest closer with the unqiue sounds of the surrounding nature.